Drs. 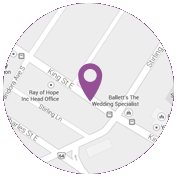 Nicolucci and Mai are your trusted and experienced orthodontists in Kitchener Ontario . Our staff care about your health and happiness and want you to have a wonderful orthodontic experience. Advanced Orthodontist Specialist Services in Kitchener? Providing family-friendly care for children, teens and adults, Dr. Nicolucci and Dr. Mai believe that everybody deserves the opportunity to have a beautiful smile. We are known for our caring, enthusiastic, and hard working staff members who are busy every day creating beautiful smiles. Our doctors specialize in orthodontics, providing patients with a variety of customized treatment options. Please contact our Kitchener orthodontic office and schedule your complimentary orthodontic exam and consultation. We look forward to working with you and your family, and sharing in all the excitement and joy of having a beautiful new smile.